This post first appeared on Real Housemoms where I am a contributor. 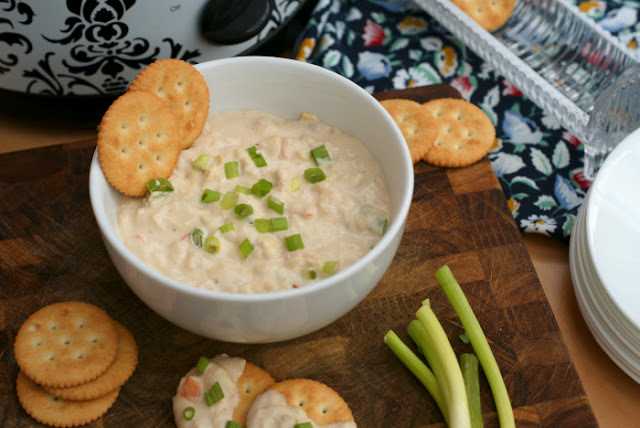 This Cheesy Crock Pot Shrimp and Artichoke Dip is hot, creamy, and full of tender shrimp. 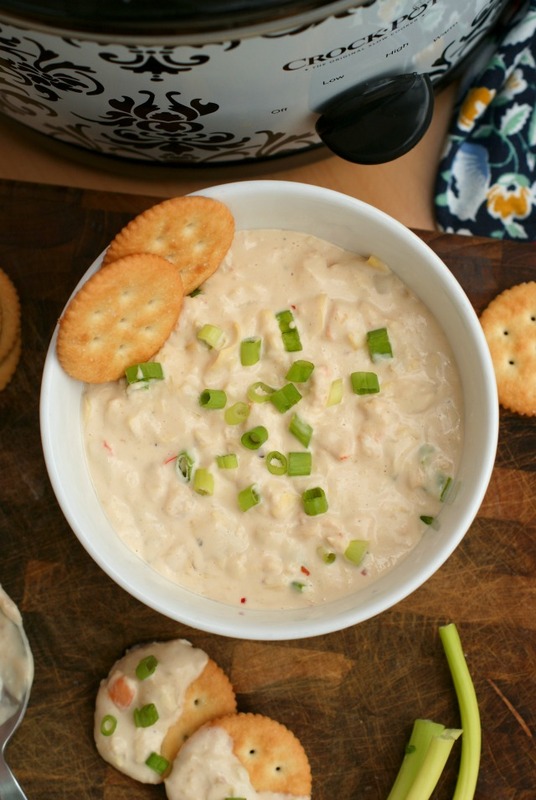 It's sure to be the hit of your next get-together! Every time I have people over, I like to go all out when it comes to the food I serve. I like for my menu to include it all: appetizers, a main course, and a dessert. I’ve discovered over the years that actually pulling off a three-course meal isn’t always as easy as I think it will be, especially when you are serving up to 20 people, which is usually the case for our parties. There are a few things I can do to take the stress out making food for such a large crowd. My first tip actually has nothing to do with cooking. It’s cleaning! I clean the house the day before any get-together so that the day of, I can totally focus on the food. If I put the cleaning off until the day of a party, I’ll be running around like a chicken with my head cut off and, trust me, that is not a pretty sight…and no fun! Once I have the cleaning out of the way, I can make things easier for myself by doing as much prep as I can in advance. I’ll chop veggies, shred cheese, and measure spices ahead of time so that when it comes to firing up the burners, I’m ready to go. While it seems like a good idea to be casually prepping dinner like you’re Martha Stewart while guests are meandering in and out of the kitchen, picture-perfect scenarios like that almost never go off without a hitch. At least not in my world! I’d likely end up looking like Lucy in the candy factory if I didn’t do an ounce of prep early. The third and most important way that I’ve discovered to take the stress out of cooking for guests is to choose the right recipes! Recipes that are incredibly elaborate and involve a lot of attention during the cooking process might not be the best choice for a party of 20 people. I’ve found that casseroles, buffet-style meals, and crock pot recipes can be complete life savers for a successful party! 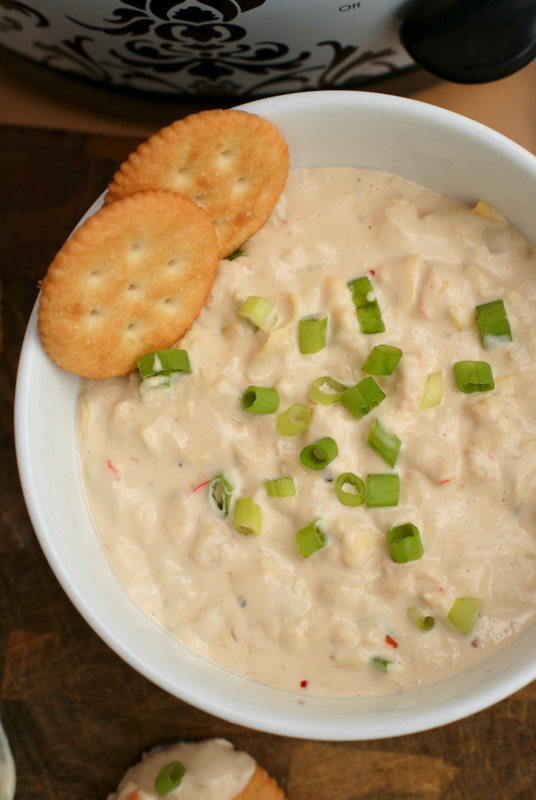 Using a crock pot for your appetizer course is an excellent way to prep early and be ready to go when guests arrive. 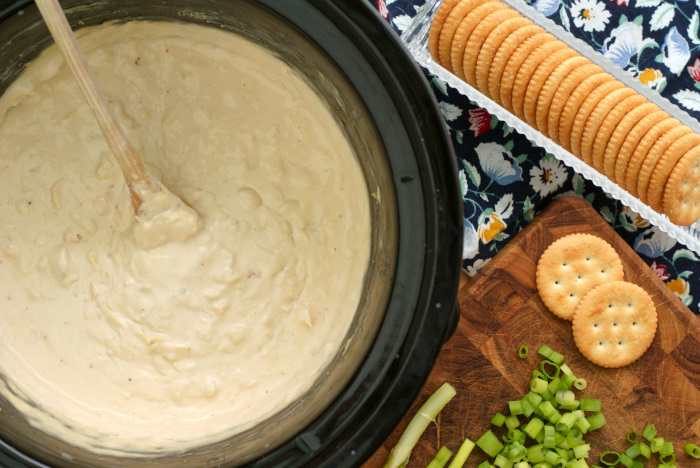 Hot dips are always a hit with guests and a crock pot can keep your dip nice and warm throughout the whole party! This shrimp dip is ideal for a large crowd and perfect for game days, birthday parties, or holidays like Thanksgiving or Christmas. 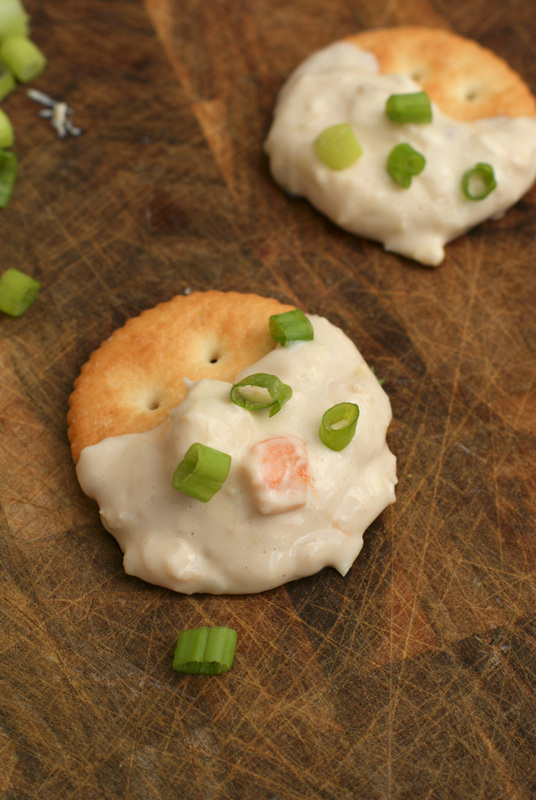 It uber cheesy, garlicky, and super impressive thanks to the shrimp and artichokes. You will love how easy it is to make and it will give you the time you need to focus on more important things during a party….like mingling!